There isn’t a person on planet Earth that would characterize me as a gear-head, but that doesn’t mean I don’t enjoy speed, adrenaline, and the open-air. Las Vegas ATV Tours allowed me the opportunity to shred the sand of Nellis Dunes across from Las Vegas Motor Speedway without having had experience riding ATVs previously. At only 25 minutes from the strip, I can’t recommend this adventure stop enough. Any other novice adventure-vehicle riders out there might share the apprehension I had about slowing my group down with my inexperience. I somewhat validated the prophecy I designed for myself, but the pro crew at Las Vegas ATV Tours quickly pulled me out of my slump. In order to steer an ATV, riders really need to throw their arms left and right due to the absence of power-steering. Much to my dismay, this concept required a muscle memory that I didn’t possess. Almost immediately, I found myself driving into the heart of the desert, away from the trail, as I frantically tried to self-correct back towards the group. The crew gave me some advice that corrected my poor form within 15 minutes. Lean forward, hug the seat with your legs, and aggressively use your arms and shoulders to control turning, was the gist of their instructions. With my newfound tips and a dollop of fresh muscle memory, I soon got the hang of riding. The two hour experience my group embarked on quickly became a highlight of the trip. Almost like a terrain park at a ski resort, we traversed a tight figure-8 trail. We dipped down at steep angles and floored it up tall sandy hills. The crew put my ATV and that of one of my companions, who was also inexperienced, in a fixed position at 3rd gear. This really allowed us to focus on having fun without the need to intellectualize the controls. We stopped for breaks, water and photos as the group desired. Our tour leaders, Brenden and Jack, kept everyone together with ear to ear smiles plastered on all our faces. Our two hour tour, priced at $166, just about maxed out my arms with the death-grip I used to hold the handlebars before I learned to relax. More experienced riders might enjoy the four hour tour that includes lunch. UTVs are also available for riders who desire a similar kind of fun, but with the added safety of a roll-cage. Don’t forget to tip your guides! The perfect follow-up to intense adrenaline, at least for me, is beautiful scenery and relaxation. Travelers will find both at Black Canyon River Adventures, where they will experience the Hoover Dam from a completely unique vantage point. Most tours of the Hoover Dam occur on top of or inside the dam. My group opted for Black Canyon’s Hoover Dam Postcard Tour, where we got to experience the dam from the Colorado River at the base of the megastructure. 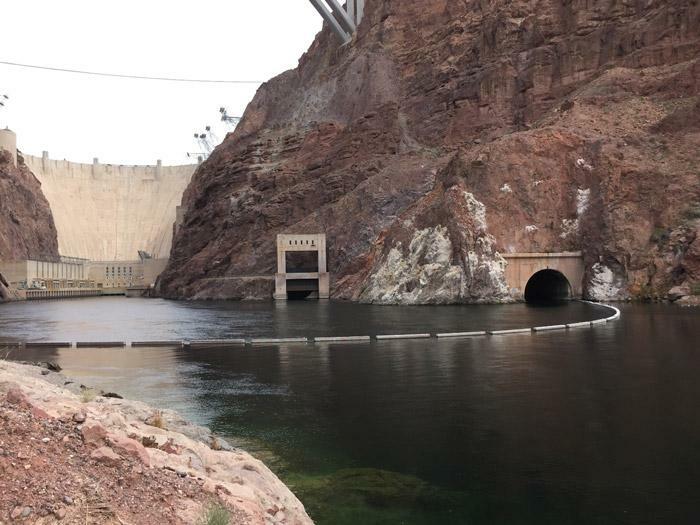 Because the area beneath the dam is federally owned, citizens may only access Lower Portal Road via Black Canyon River Adventures. The tour is saturated with historical facts, wildlife watching opportunities and unique photography opportunities. My group was lucky to see a Desert Bighorn sheep, American cliff swallow nests, and some double-crested cormorants in their nest. The views of the spillways were unlike anything I had ever seen. We learned about the “high-scalers” that had one of the most dangerous jobs during dam construction. These guys would hang on the edge of cliffs, bags of dynamite in hand, and drill holes into the mountainside. They’d then insert the dynamite into the hole, light the fuse, and swing away as quickly as possible. There’s nothing like a little dynamite to liven up the work day. 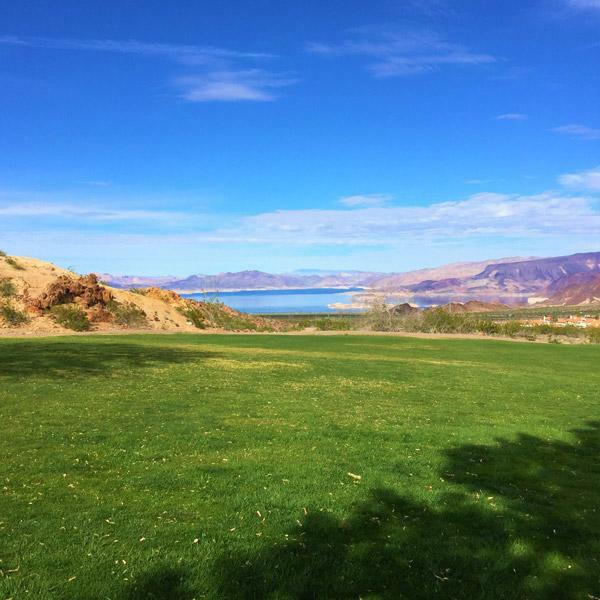 The tour start-point is at Hoover Dam Lodge, only 40 minutes from the Strip. The 1.5 hour Postcard Tour, start to finish, is only $33 per person. Here, too, don’t forget to tip your guide! After gently moving through the Colorado River beneath the Hoover Dam, I recommend concluding your day with some wind in your hair at Flightlinez Bootleg Canyon. 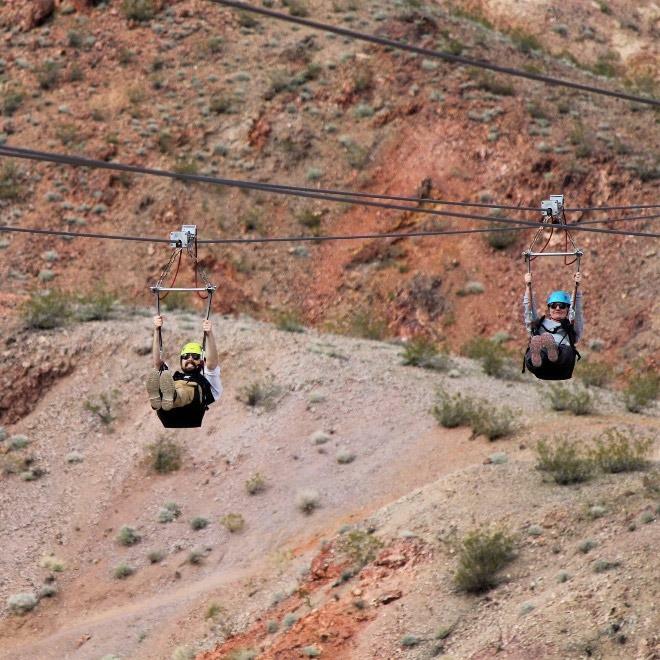 Just 30 minutes from the strip in Boulder City, Nev., $159 will buy you trips down four different ziplines covering over a mile and a half of Bootleg Canyon. Your journey begins at Flightlinez HQ where your instructors detail the safety rules of the experience. 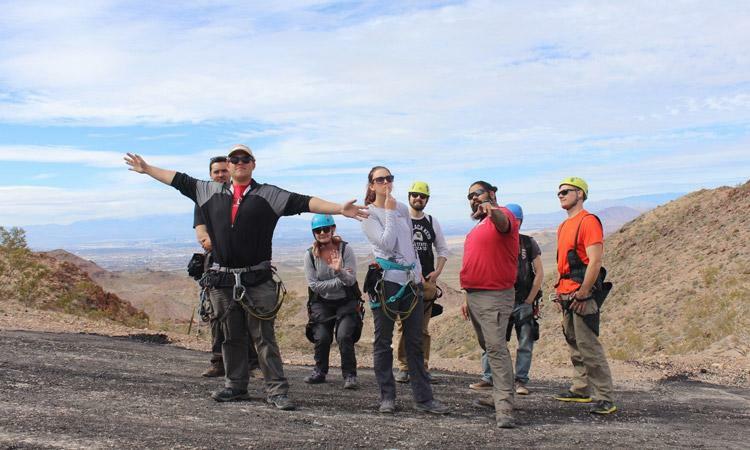 They are extremely thorough in the explanation of the procedures involved, and they reinforce those procedures before every zipline. Don’t worry about missing any instructions, because the crew’s comedic relief will keep you engaged with a smile on your face. A short van ride will take guests most of the way up the mountain. After leaving the van behind, guests begin a 15 minute hike to the first launch point. The trail up the rest of the mountain is very well-maintained. My cardiovascular health is far from tip-top, and I made the hike without issue. The first zipline is nerve-inducing before launch, but once in the air, freedom and sunshine take hold and it’s scientifically impossible not to enjoy yourself. Each line accommodates four riders, so wait time is minimal. You can bring your camera if you wish, but Flightlinez employs a photographer that hikes ahead of you to capture your journey in rich quality. The views are stunning and your smile will be wide. One last time, don’t forget to tip your guides! If you find that the Strip has thinned your wallet and you and the crew could use some free fresh air, I recommend Hemenway Park in Boulder City, where visitors can see Desert Bighorn sheep up close. 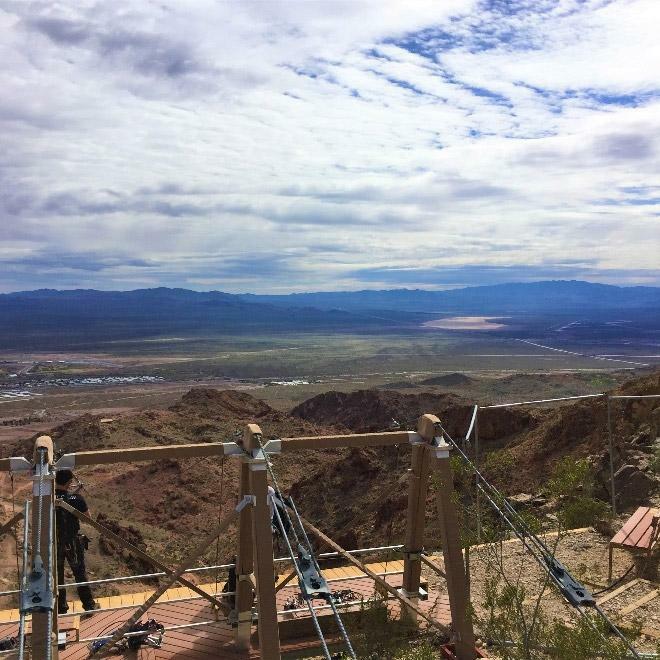 Thrill-seekers and picnickers will enjoy Nelson’s Landing, five miles east of Nelson, Nevada, where visitors can take in the gorgeous view and cliff-dive into the Colorado River. If exploring an authentic ghost town is more your style, Nelson, Nevada is also home to what was known in 1775 by the Spanish explorers as Eldorado. It was the sign of one of the first gold discoveries in the area and mines here were active until 1945. Today though, the Nelson Ghost Town is mostly a collection of abandoned buildings and mining equipment along the Colorado River. 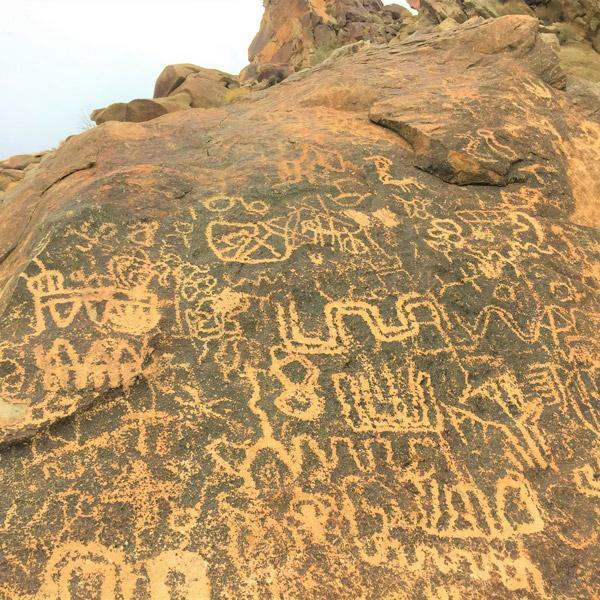 The last destination I’ll recommend is Grapevine Canyon, near Laughlin, where visitors can explore more than 700 petroglyphs dating back to 1100 AD. Viewing these nearly millenia old markings and then heading back to the bright neon signs along the strip really makes you realize that there's much more than you'd expect when you visit Las Vegas for a guys weekend.